Is surfing with type 1 diabetes possible? Will I be able to wear an insulin pump? What if I take a hypo in the water? It's easy to feel overwhelmed! When Bradley and I head off to Bali, we intend on taking surf lessons and spending three weeks in the water! I have surfed on and off before….I say surf, what I mean is I try to surf, I have yet to actually successfully stand on the board, but that will take practice. On my random surf occasions I would just take off my insulin pump and do an hour of surfing then come back in, test my blood sugars, and give any insulin if I needed it. I usually didn’t need any insulin because of the intensity of exercise surfing entails. So I began to wonder how would I manage in the water long-term and for a few weeks. To curb my curiosity and get some advice, I decided to ask a surfing expert, Zach Toth, founder of Travelbetic, which is a blog dedicated to travelling and surfing with diabetes. Hi Zach! Thank you for taking the time to answer some questions! First things first, When were you diagnosed with type 1 diabetes? In December 2013 on my 22nd birthday... Happy birthday to me! Wow, that’s definitely an interesting birthday present! What inspired you to start your awesome site Travelbetic? When I was first diagnosed I had a hard time accepting my new life. I didn’t want to talk about diabetes with anyone. I felt isolated, like I was fighting the battle alone. 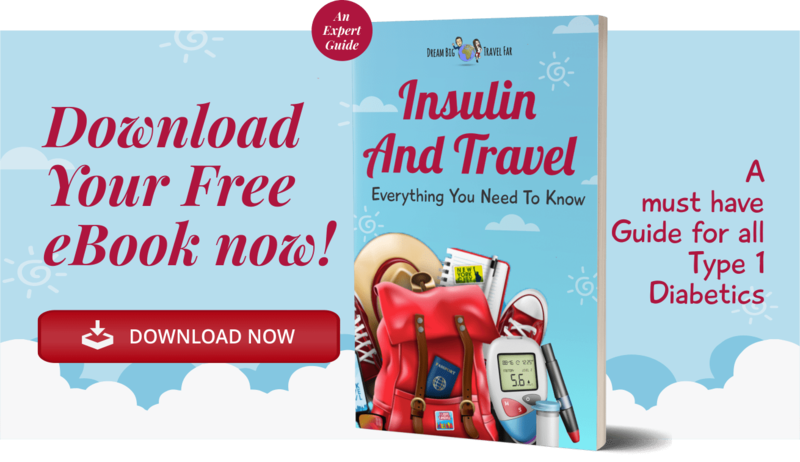 When I started traveling again I did a lot of web research on info like how to keep insulin safe on trips and where to purchase test strips abroad. Through my engagement online I discovered the hugely helpful diabetes online community (#DOC). This wonderful community inspired me to expect nothing and accept everything, to use type 1 as a motivator and take life head on. 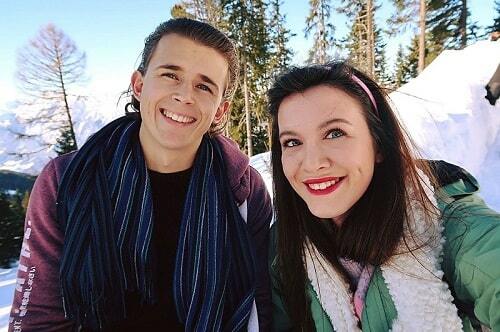 I began to discover my new voice and talk openly about diabetes, advocating T1D awareness among my family and friends. During my research on travel with T1D I noticed a sort of void in diabetes travel info and inspiration on the web. Travel has been an integral part of my life since I can remember. A few short months after diagnosis I was back to my globe trotting ways. This void was an opportunity to put my new voice and confidence to good use. The inspiration of 100s of type 1s in the #DOC inspired me to share my story and contribute to the narrative that type 1 diabetes can’t stop us from anything. 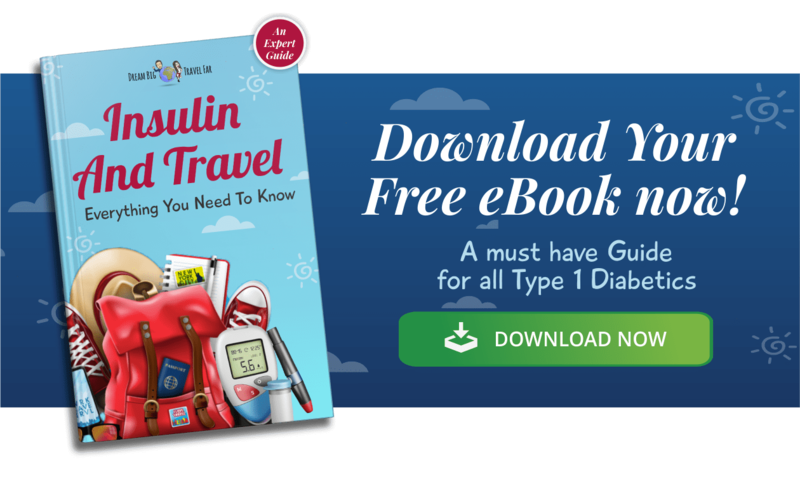 Travelbetic became my platform to share my journey, challenge the stigma of T1D and offer some tips along the way. Sounds great! You are a real inspiration, and I think the site is a fantastic resource! Are you an insulin pump or pens type of guy? Wow, long time! That’s brilliant- you must be brilliant! Did type 1 diabetes make surfing more difficult? How did you cope? Yes definitely! Before diabetes I could surf for hours without worrying about a thing. I would skip meals and come in super undernourished. That can’t happen anymore. Surfing burns carbs faster than anything else I’ve tried. It was and still is a challenge to maintain safe blood sugar levels out in the water. I would be worried about constant hypos with surfing with type 1 diabetes as it can be quite intense! Do you have lots of hypos? How do you get these under control? Yes lots of hypos! This is definitely the main concern when surfing with T1D. I figured out a method of carb loading that keeps my sugars up during a surf. I'll eat around 30 grams of carbs before paddling out without bolusing, aiming to get my blood sugar around 225 mg/dl (12.5 mmol/L). This allows me to surf for around 2 hours without dropping below 70 mg/dl (3.9 mmol/L). The downside; skipping an injection can put you at risk for ketones. I try to carb load right before paddling out to minimize that risk. Do you take any medication/hypo treatment out with you in the water? 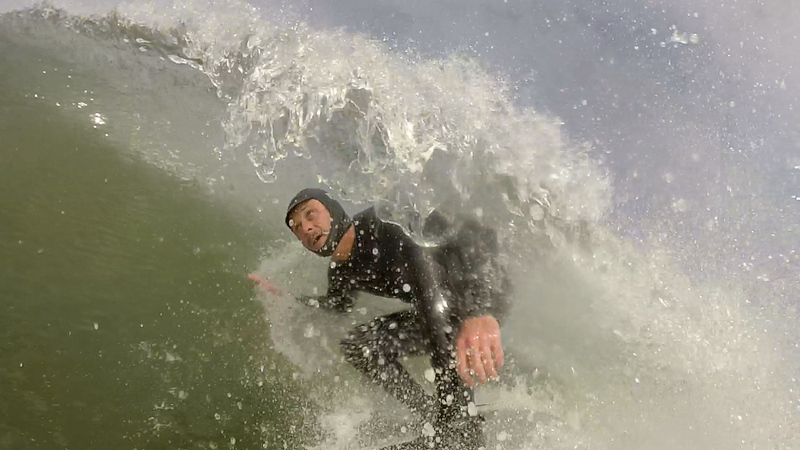 I usually stash some gelatin free gummies in my board short pocket or wetsuit. All of my insulin and other supplies stay in the car or hidden on the beach. Sometimes I’ll throw my phone in a waterproof bag and take it out with me so I can watch my blood sugar level from my CGM on my smart watch. What about those who have CGM's attached to them? Do you know of any waterproof covers or things they can use to protect these in water? I use OPsite Flexfix tape on my Dexcom CGM. It is a bit tough to cut and apply properly but it's rather waterproof. Would you recommend surfing with a partner just in case? Absolutely! Especially if you’re new to surfing. It’s a good idea for everyone to surf with a buddy. The ocean can be unpredictable. Start doing pushups now. Surfing brings you to terms with your honest upper body strength. The ocean is a powerful force. And also, have fun! That's the easy part. Where is your favourite surfing destination? That is a tough one. I think I have to go with Ecuador. Nicest people ever and waves every day. I wish I had time when I was Ecuador to try out the surfing there. I will definitely attempt on my return to South America, and hopefully by then ill be a pro surfer (or be able to at least stand on the board)! I am always travelling with an insulin pump, and since Zach is on insulin pens, I decided to have a look at the waterproof nature of insulin pumps, since that's what I use. Zach has lots of info on his site, but I reached out to some of the pump companies to get official statements! If you do decide to pump and surf, then make sure you are aware that your insulin pump is waterproof, or invest in a waterproof case. I also contacted Freestyle about their libres in the water, and here is their official response! What I got from that was, a sensor may not be durable for intense water sports, I may have to switch off Libre for the few weeks I am surfing, or attempt it in the water...has anyone surfed with the libre? Any advice would be great! I contacted Roche & Animas too but I am waiting on their responses. I shall add them in when they get back to me! As you can see from Zach's amazing surf record, diabetes does not stop you in the slightest, he is an inspiration and a fantastic ambassador for living life to the fullest with type 1 diabetes. Thank you Zach for answering my questions, and helping me feel more secure about surfing with type 1 diabetes and I cannot wait to get my surf on in Bali and the rest of the world!